How Far is Ascent County Plot? 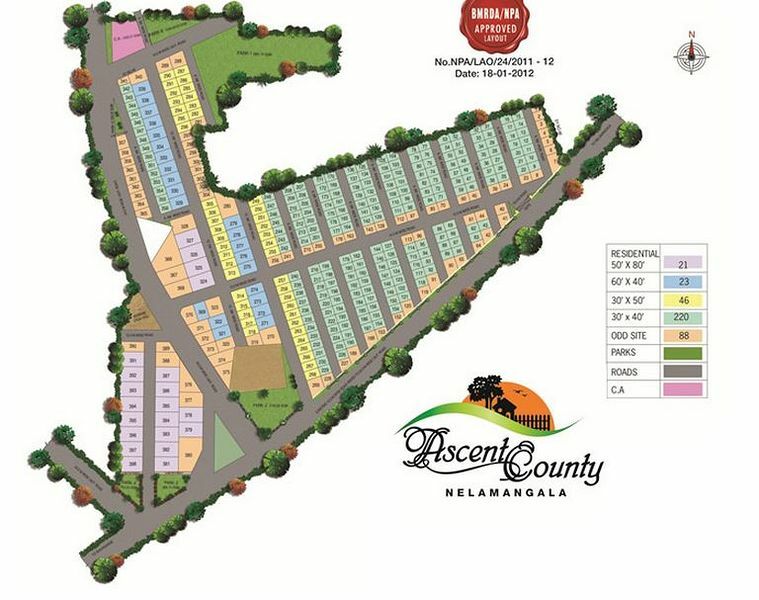 Ascent County is located near Nelamangala at a distance of 1.2km from NH4 Kunigal cross, on 40 ft. wide (to be widened to 80 ft.) Nelamangala – Shivagange Main Road en-route to the historical hills of Shivagange with one side 6 lane NH4 leading to Tumkur & to the other side NH48 leading to Mangalore. The beautiful park at Binnamangala and the serene Vishwa Shanti Ashram are close by. A short pleasant drive across a dedicated flyover on signal free roads, brings you to this green serene location in less than 30 minutes from Yeshwanthpur circle. The naturally scenic terrain of Nelamangala in the North-West part of Bangalore amidst pristine lush greenery adds to the ambience of Ascent County. A leisure weekend with family doesn’t need much planning or traveling as the Golden Palms Hotel & Spa is close by. Tucked away from the chaos and din of city traffic, this unique project enjoys excellent connectivity and accessibility from the National Highway and NICE road leading to the international airport. The proposed Metro train from the city up to Nelamangala will make commuting to and from the city that much more easy. Also, the proposed IMP roads, the upcoming APMC yard and shifting of Peenya Industrial area to Dobbaspet Industrial area is all set to give industrial and commercial activity in the area a big boost, making property here all set for unimaginable appreciation. The place to invest is here and the time to invest is now! !